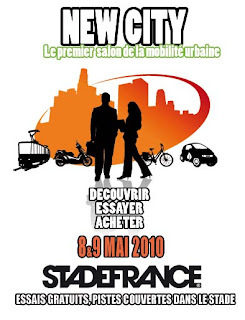 Mark your calendars now for the 8 & 9 of May 2010 when the Stade de France will host the first consumer exhibition of urban mobility, rumored to offer heavy motorbike representation. In fact, scooters and small displacements motorcycles, in addition to city cars and new modes of low impact transportation, make up the majority of vehicle sales in France. Baptized ‘New City’, this event should allow many industry players (manufacturers, distributors, insurers, etc..) of this booming sector to come together to present to the public the full range of urban vehicles, as well as allowing visitors to test and purchase at the event. 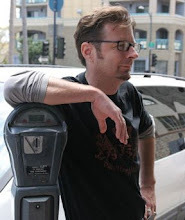 In short, an all-in-one expo, dedicated to multiple ways of getting around town, especially on two-wheeler.